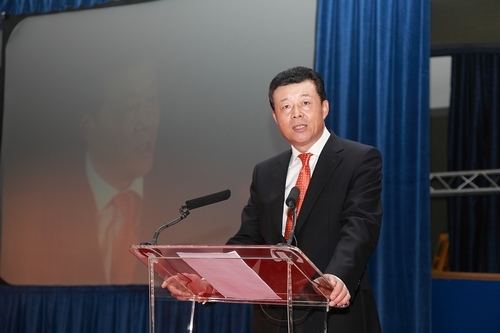 I warmly congratulate the founding of the UK Chinese Business Association (UKCBA). This is an event of great significance for three reasons. 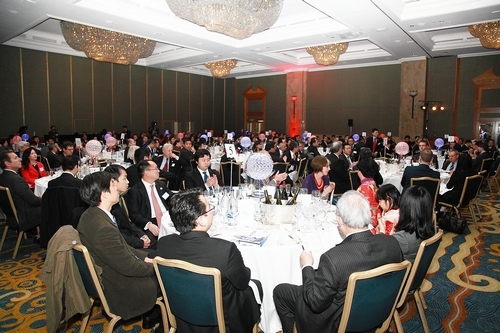 First, UKCBA offers a new platform for better cooperation among Chinese businesses in Britain. It is a non-profit organization with the broadest support of all British-based Chinese entrepreneurs. The UKCBA has gathered outstanding Chinese in various fields from a full spectrum of regional and industrial backgrounds. It will provide for its members latest business and investment information and high quality legal and accounting service. I have no doubt that it will become a new home for Chinese enterprises in the UK. Second, UKCBA has created new conditions for heightening the status of Chinese people in the British society. Over many years Chinese communities in the UK have thrived through hard work and at the same time hugely contributed to the prosperity of local society. Yet their social status does not match their economic contribution. The newly founded UKCBA will form a synergy of all Chinese in Britain, improve their image and boost their status. Third, UKCBA adds a new force promoting China-UK economic cooperation. This year marks 40 years of full China-UK diplomatic relations. Over the four decades, exchanges and cooperation between the two countries have deepened across the board. Our economic cooperation has been exceptionally fruitful. It is worth mention that Chinese compatriots in the UK have long been committed to China-UK relations and played a positive role in its growth. I believe the UKCBA will help bring the advantages of Chinese enterprises to a full play. In turn Chinese enterprises in Britain will be able to play an even bigger role in advancing China-UK economic cooperation. First, solidarity. As a Chinese saying goes “The fire burns high when everybody adds wood to it.” It is our common goal to grow Chinese enterprises and deepen China-UK economic cooperation. I hope you will rally around the UKCBA and work together for common development through mutual help. Second, integrity. Integrity and honesty are a traditional virtue of the Chinese nation. Confucius said, “I do not know how a man without integrity can get on.” Integrity is also a basic norm of modern society. I hope members of UKCBA will always uphold integrity, build a good reputation and create a positive image of Chinese people. Third, responsibility. Some people say money is the only thing businesses are after. I am sure this is not a quote of Chinese. Mercenariness is never the character of Chinese people. Instead, we always stress morals and virtues. The UKCBA represents all UK-based Chinese companies. I hope you will fulfill your social responsibility. In particular I hope you will generously support cultural and educational programmes of British Chinese, take an active part in public welfare activities and support Chinese participation in political affairs. All these will raise political status of Chinese and contribute to the development of Chinese communities and local society. In conclusion I wish UKCBA a great success! I wish all of you a merry Christmas and a very happy new year!